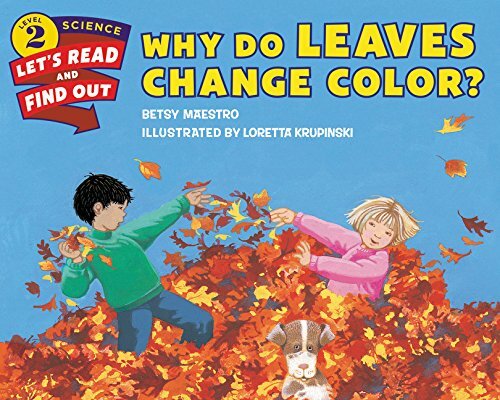 September 3, 2018 0 comments on "Fall Leaf Activities for Kids"
I love fall. I love all the colors of the leaves that fall off the trees and don’t even mind raking them as long as it’s only a bag or two! Kids always love giving raking a try, and even more love to play in the leaves. 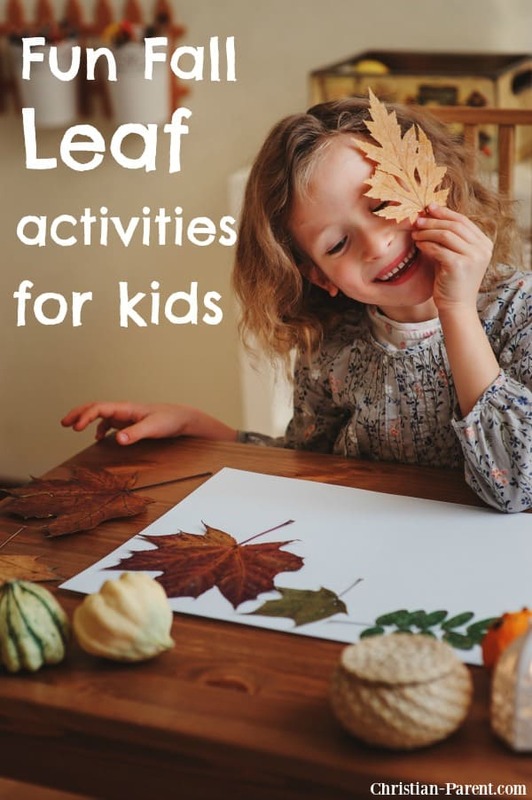 Why not let them pick out some pretty leaves and do some fun fall leaf activities with them? 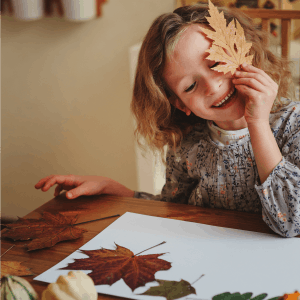 For this craft you will need white paper, some fall leaves, and some crayons. Help your child hold the leaf under the paper and have him use the crayon to rub on top of the paper, over the leaf, to make the leaf rubbing. Make sure he holds the crayon horizontally (paper should be removed from crayons). I found this neat fall leaf poem you can use with your leaf rubbings. 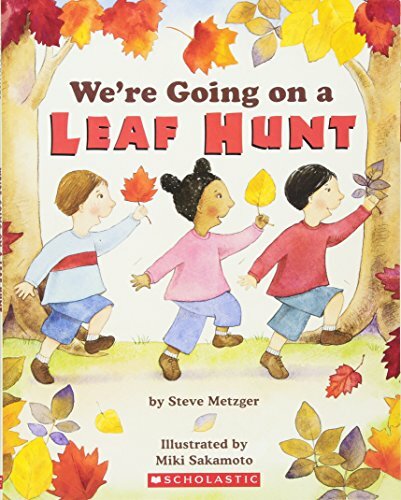 They suggest making a “Leaf Book of Fall Leaves”, creating a different colored leaf rubbing for each page, and adding the fall leaf poem at the end. 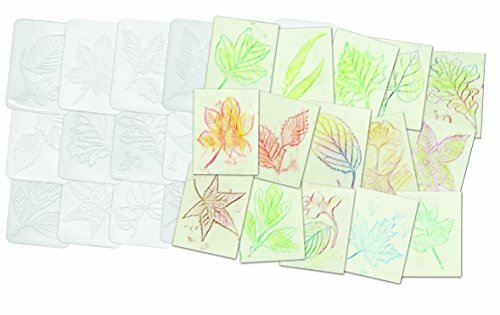 If you have a hard time finding fall leaves to use for your leaf rubbings, Amazon sells some neat leaf rubbing plates that makes leaf rubbings easy for your child’s art projects. These leaf collages are always fun. For these all you need is clear contact paper and some fall leaves. Cut two pieces of clear contact paper. 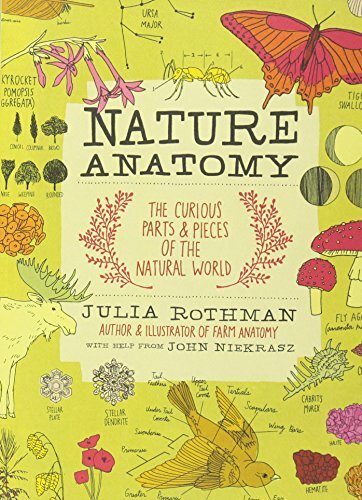 Peel the backing off of one and arrange the leaves on the sticky side. Carefully place the other piece of paper on top of the leaves and press together. These look great hanging in a window. You can also use the contact paper to make fall leaf place mats for Thanksgiving. Cut two pieces of contact paper to the shape of a place mat, and place the leaves between the two sheets. These are really easy and fun to make. 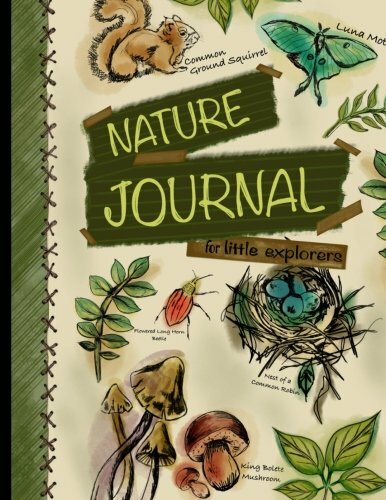 You can also add crayon shavings in with the leaves and use a warm iron on top of the contact paper to melt the crayons. Follow my fall crafts for kids and preschool activities boards on Pinterest.